One of my favorite prints - Col Don Blakeslee was one of the legendary leaders of World War II. 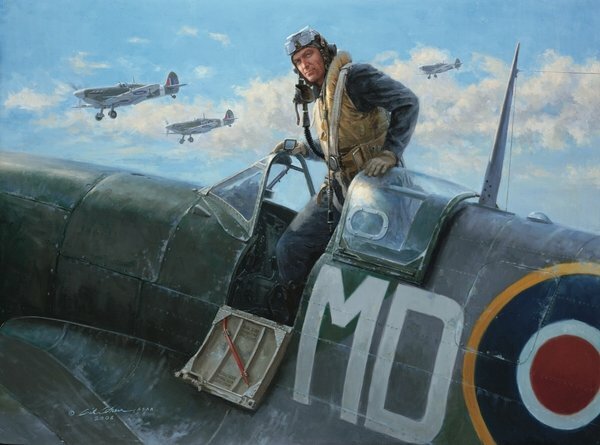 He volunteered, and is shown here, climbing out of his Spitfire while flying with The Eagle Squadron. He later went on to become Commander of the Fourth Fighter Group, the famed P-51 Mustang Squadron that flew numerous missions over Europe.